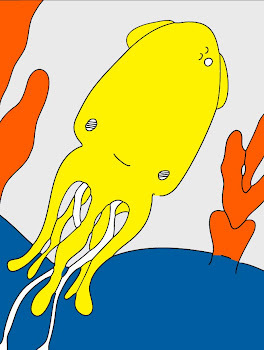 Technicolor Squid: News & Reviews. Oh hello again lovelies! Oh boy, am I ever behind with my January review. Oh my goodness, I apologize! You only have to wait a moment more (I know these reviews are just sooo exciting) because I want to share some nice news with you. First of all, February 4th marked the first anniversary of the vegasandvenice blog. Secondly, we put an offer on this one bedroom one-and-a-half bath condo this morning and a few hours later we had mutual acceptance! I am very superstitious (dunno why) so IF we close it will be in a little more than three weeks. Yay! I feel positive that there will be more about that later. Now, lets start the January review. Sadly, we will be leaving this lovely view behind. What could be better than the city and the mountains and the ocean? Talk about a million dollar view. This is the Space Needle from my pillow. Conveniently, I did not even have to lift my head to watch the fireworks on New Years Eve, which was nice because I was already asleep. I am starting to see a theme with this whole "review" thing. Trees. Apparently, I take a lot of tree pictures because they always show up in the monthly review. I did not even know I liked trees so much. Do these pictures even need explanation? Probably not. Cute sleeping Charlie Pup and his grumpy one-eyed side kick (who is really not so much grumpy but instead quite cuddly). These are from the Press condos in Seattle. We had a great tour and a nice visit but decided it was not the right place for us. Lovely, but not the right place. Sadly, we felt the same way about the Decatur. It was a bit too far from our desired location, but I loved the view. You know what else I love? You. Thank you for all of your support. I am sorry that I could not finish this post last night (I wasn't feeling so great). We watched Marie Antoinette and cuddled which was very, very nice. I send you all some of our extra cuddles. xox=vv. fingers crossed... um LOOK at that swankness! congratulations! I'm sure it will all go smoothly. How very exciting! the place looks very nice. Happy one year anniversary on your blog and oooh condo! I'm keeping my fingers crossed here for you as well. I am keeping my fingers crossed that you get to move soon. I was just over at Lisa's and she mentioned you and I thought, oh my, I haven't checked for about 2 weeks! Not that you leave my thoughts, I play Regina a lot and think of you. In fact, I posted a photo I took the other day of your fabby fabric.. or did I? Gosh, maybe I've saved it as a draft, do you know, I think I have (working on friends computer). Phew, that's good, it means I have a post just ready to go - yippee. But anyway, happy belated blogiversary! And, comiserations on back injury. They can be such frustrating and painful things, and slow to heal, but I'm glad to hear you are feeling a little better. I hope you are back to your old bendy self (an assumption, but I reckon you are pretty bendy) soon. And the Condo, big news, very exciting. I will have my chilly fingers crossed for you (having to come to the freezing house to access broadband so I can do this catchup on everyone's blogs).